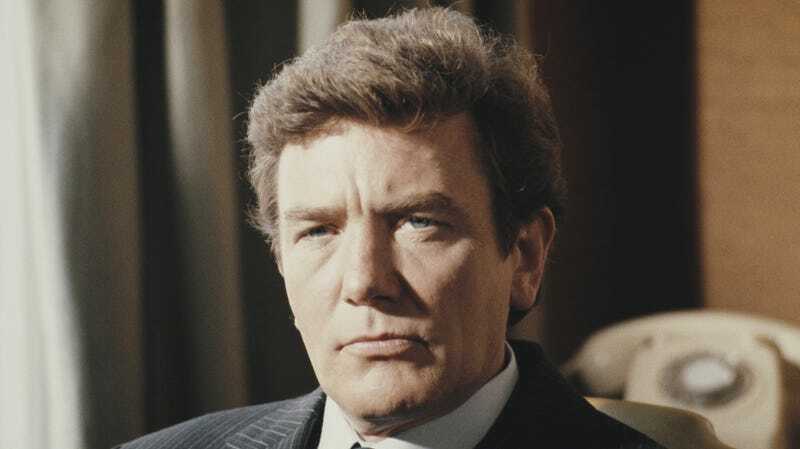 Albert Finney, who scored numerous Academy Award nominations across an illustrious six-decade career, has died. In a statement to the Associated Press, Finney’s family said the actor, who starred in classics like Tom Jones and modern fare like Skyfall and Erin Brockovich, “passed away peacefully after a short illness with those closest to him by his side.” He was 82. A stage actor in his native U.K., Finney transitioned to film with 1960's The Entertainer and the acclaimed Saturday Night And Sunday Morning, but truly broke through with the 1963 comedy Tom Jones, which won four Academy Awards, including Best Picture. Finney struggled with his identity in the wake of his breakout role, turning down the title role in Lawrence Of Arabia because the concept of stardom frightened him. Instead, he chose to travel. Finney made his directorial debut with 1968's Charlie Bubbles and, two years later, delivered what’s become one of the most iconic depictions of Ebenezer Scrooge in 1970's Scrooge. In 1974, he received his second Oscar nomination for his take on Agatha Christie’s Hercule Poirot in Murder on the Orient Express. In true Finney fashion, however, he turned down more opportunities to play the famed sleuth. Instead, he caught the Academy’s attention again with his turns in 1983's The Dresser and John Huston’s 1984 film Under the Volcano. He also seared his visage into the minds of children everywhere as the Daddy Warbucks of 1982's Annie adaptation. If not in Annie, younger generations may first have stumbled upon Finney in the Coen Brothers’ 1990 crime flick, Miller’s Crossing, in which he memorably fired off a submachine gun to the tune of “Danny Boy.” One may also recall him from Tim Burton’s Big Fish, or perhaps for Erin Brockovich, for which he received his final Academy Award nomination. In 2012, he entered the James Bond franchise with Skyfall. Around that same time, Finney began receiving treatment for prostate cancer. If one needs any further indication of the impact Finney had on the film industry, just browse a few of our Random Roles features. Finney waltzed his way into the recollections of no shortage of actors, including Billy Crudup and Matthew Modine.